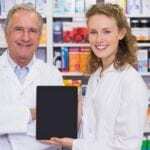 Pharmacy services have expanded and grown with advances in pharmaceutical research, entry of new drugs, and the increasing needs of the aging population. 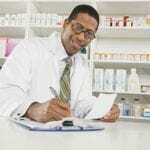 Pharmacy technicians now play a critical role in the pharmacy operation as they perform many of the functions once performed by pharmacists. Pharmacy technician programs prepare students to assume such a position to support the progressive objective of the pharmacy and play a key role in the smooth functioning of the operation. Employment of pharmacy technicians is expected to grow by 20 percent from 2012 to 2022, much faster than the average for all occupations. Job prospects for pharmacy technicians will, therefore, be excellent, especially for those with formal training and national certification. California pharmacy technicians must obtain and maintain a current license to practice. The state requires registration only. However, national certification will give pharmacy technicians an advantage in the job market. The pharmacy technician certificate program at North Orange CCC prepares students for entry-level employment as a pharmacy technician in an institutional or community pharmacy. The program exceeds the state’s training requirements for pharmacy technicians, and graduates are eligible to apply for registration with the Pharmacy Board. The classes are offered on a trimester schedule – students meet one night per week for 12 weeks. During the summer semester, classes meet for 6 weeks. The non-credit program is based on instructional hours, so students would not receive college credit units. The program may be completed in 15 to 18 months, and a certificate will be awarded to successful graduates. Course modules include In-Patient Lab for the Pharmacy Technician, Pharmacy Operations, Medical Terminology, Pharmacology, Introduction to Pharmacy Technician, and Pharmaceutical Mathematics. An externship rotation of 320 hours – 120 hours out-patient externship and 200 hours in-patient externship to develop clinical skills. Applicants must have keyboarding competency and a high school diploma. For more than four decades, Santa Ana College has been preparing students for pharmacy technician employment in outpatient, inpatient, and home health care pharmacies. The program is accredited by the American Society of Health-System Pharmacists (ASHP). Preparatory courses are available for students interested in enrolling in the Pharmacy Technology Department. Course topics include introduction to pharmacy technology, body systems, pharmacy calculations, pharmacy operations, inpatient pharmacy services, sterile products, pharmacy technology skills, pharmacy technology externship, pharmacy calculations review, and sterile products update. Applicants must have a good command of English, good listening skills, and complete the entry-level classes, including body systems, pharmacy calculations, and introduction to pharmacy technology. Tuition for the18-month program is $1,207. Books and supplies cost an additional $400. The Pharmacy Technician Diploma program at CNI College combines theory and practical skills training to prepare students for entry-level employment in pharmacy technology. 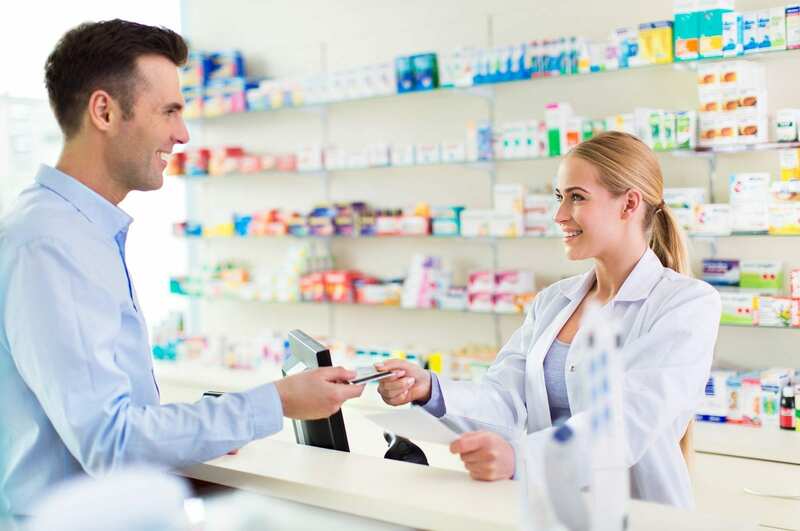 Students learn how to perform the duties of a pharmacy in common pharmacy settings, such as home health pharmacies, retail pharmacies, hospital pharmacies, and compounding pharmacies. Course topics include pharmacology, pharmacy terminology, abbreviation, dosage calculations, the role of the pharmacy technician, ethics, pharmacy law, drugs that affect the body systems, and pharmacy procedures. The program is accredited by the Accrediting Bureau of Health Education Schools (ABHES) and the American Society of Health Systems Pharmacists (ASHP) and approved by the Bureau for Private Postsecondary Education (BPPE). Tuition for the program is $14,123. Books and supplies cost $1,004. The Pharmacy Technician training program at Cerritos College is accredited through the American Society of Health-System Pharmacists (ASHP). The certificate program requires students to complete 31 units to qualify for certification. Full-time students can complete the requirements in 3 to 3 semesters and qualify for registration with the California State Board of Pharmacy. Although national certification is not mandatory, the school encourages graduates to take the PTCE exam offered by the Pharmacy Technician Certification Board. Upon certification, students can also opt to complete an additional 29 general education and elective units for an Associate in Arts Degree. The program is taught by practicing registered pharmacists and certified pharmacy technicians. It is offered on a day or evening schedule. Applicants must be a high school graduate or equivalent, obtain acceptable scores on the college placement test (reading, writing, and mathematics), and meet the health requirements – lab, x-ray, and immunization records to meet the standards for the clinical site. A criminal background check may be required for the mandatory clinical placement. The cost of tuition and fees is approximately $1,600. Students will be expected to purchase uniforms, supplies, and books. The 3-quarter pharmacy technician certificate program at ABC adult school prepares students to obtain the qualifications to become an entry-level pharmacy technician. Courses include standards and ethics, basic pharmacy calculations, drug dosages, pharmacology, knowledge of practice settings, record keeping, forms, recording keeping, inventory management, labeling, and customer service. It is recommended that students complete the Introduction to Medical Occupations class before enrolling the program. In addition to classroom training, students must complete the pharmacy technician internship, which is a 160-hour practicum at a community pharmacy. Classes meet Tuesday, Wednesday, and Thursday from 8:00 am to 4:45 pm. The cost is $35 Reg and $345 Lab per module. Books and uniform are not included. The American Career College Pharmacy Technician program prepares students to work with licensed pharmacists to label and dispense medications, manage inventory and update patient information. Graduates will receive a diploma and will understand clearly the role of the pharmacy technician, know the trade and generic names of drugs, routes of administration, dosages, side effects, and proper storage, and be able to perform pharmaceutical preparation, including filling prescriptions and preparing sterile products. Basic anatomy medical terminology, ethical standards, retail pharmacy procedures, dispensing, and charting are also covered in the program. The curriculum includes at total 1125.5 clock hours (43.5 quarter credits): 720 in-class hours and 405.5 outside clock hours. Applicants must be 18 years or older upon admission or by the expected graduation date, submit a high school diploma or GED and two sets of official transcripts, and score a minimum of 12 on the Wonderlic Scholastic Level Exam. Applicants must also complete livescan fingerprint and meet the health requirements to enter the program. Tuition for the ASHP accredited program is $17,975. Sri Sai Krish Institute hosts a pharmacy technician certificate program that includes technical and practical training to enable graduates to function as competent entry-level technicians. Students acquire a basic knowledge of pharmacy calculations, preparation of sterile dosage forms, drug distribution systems, pharmaceutical and medical terminology, and anatomy and physiology. The externship experience follows intense classroom instruction and prepares students for practice in an actual work setting. Students must complete 720 clock hours. Graduates are encouraged to take the PTCB exam for national certification. Morning, midday, evening and weekend schedules are available.